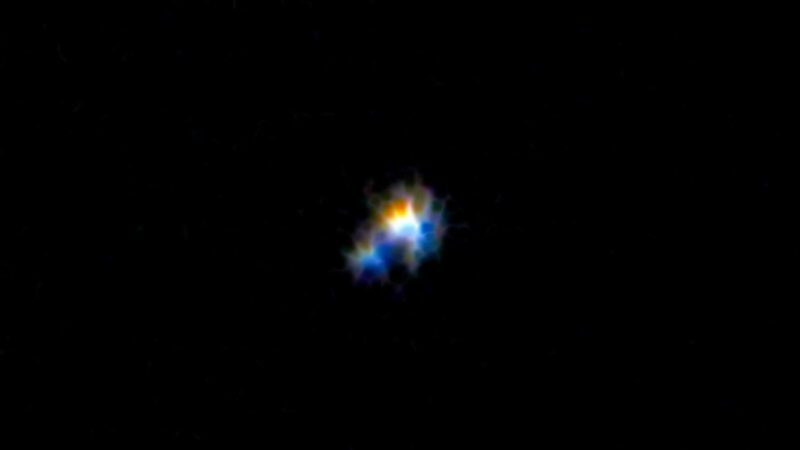 Fixed star Izar, Epsilon Boötis, is a double pale orange and bluish-green star is the waist of the Plowman, Boötes Constellation. The name Izar is derived from the Arabic for Veil. It has also been called Pulcherrima which is Latin for Loveliest. Of very deep meaning to us is the star Izar, ε Boötis. 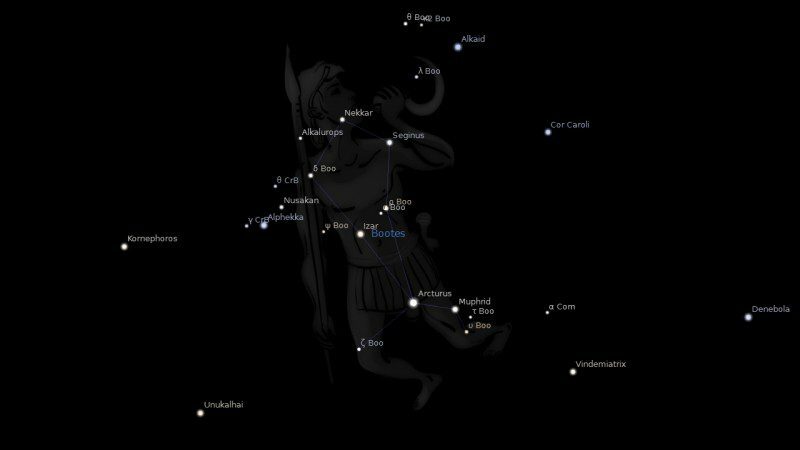 From long before present the constellation system was recognized, Epsilon Boötis was revered by ancient Peoples, especially in Africa and South America, as a star from which their ancestors had first come to this planet. Since it is 150 light years away, the story is unlikely to say the least. But it is quite uncanny that this binary star’s components are in relationships to each other almost exactly as Sun and Phaethon must have been before the Great Disaster began. It is reasonable to suggest, then, that early astronomers discovered the kinship of the Izar binary to our own former state, and that their findings were announced by the media of the time, not as “This is like what we came from’, but ‘This is where we came from’. We can imagine the popular press doing the same now. The notion certainly took very deep root in us for, while the name Izar is merely Arabic for girdle, its position on the figure, the word is frequently associated with Czar, Shah and other such terms for father-figure to the community. Early western students of astrology confused the name Izar, which can be also be spelled Mizar, the Mirach, the name of β Andromedae, but this is in itself that kind of ‘inspired mistake’ which points again to the theme of Izar as a source of life to us, and a point from which to look forward, as we saw with β Andromedae itself. The result is that those with Izar strong for them do have both the keen interest in our origins, and a protective nature that wants to see us go safely on into our future development as a life species. Ptolemy did not apply himself to Izar, so far as we know, but a Saturn-Venus quality would seem entirely appropriate. 2. The Living Stars, Dr Eric Morse, 1988, p.142. It’s strange how ironic this universe can be! I haven’t read about this star in connection with my own chart but found it interesting to see that my natal moon is conjunct Izar by 0°02′ and I have natal Venus conjunct Saturn too! Hmm! ???? Apologies on commenting about the ‘ come slow, build slow.. ‘ as it was really meant for Arcturus since I had just read up on it..
Delightful story on Epsilon Bootis Jamie. Something a little different than the usual fare. What takes me here to investigate Izar is a configuration between Asteroid Bennu, Uranus, Chiron, and Izar yod. When Uranus made its ingress in Aquarius on Jan 11, 1996. Wow I never heard of that. Just read about it. Thank you!